Wrangholm Kirk is located in the town of New Stevenston in Lanarkshire and is a linked charge with Holytown Parish Church. 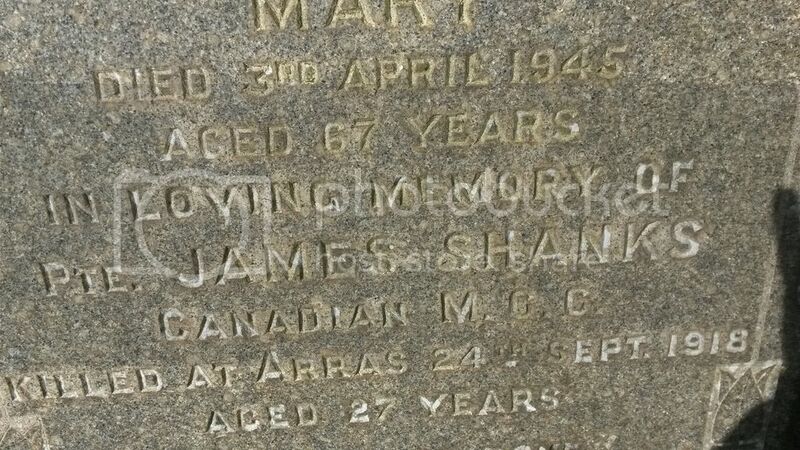 There are 3 CWGC and we found 2 family stones. Many of the gravestone cannot be read or are lying face down but as there are not too many in total in the cemetery, these were easy to find. Grave Reference: New ground wall lair. 11. 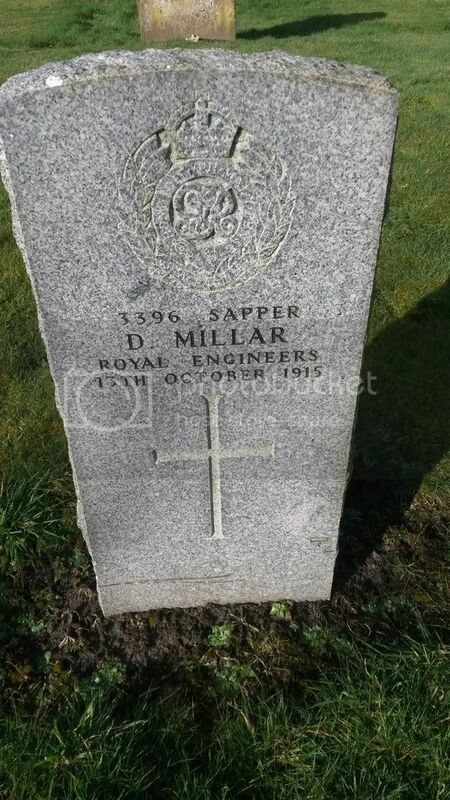 Regiment/Service: Royal Engineers 2nd/2nd Lowland Div. Grave Reference: Old. B. 136. 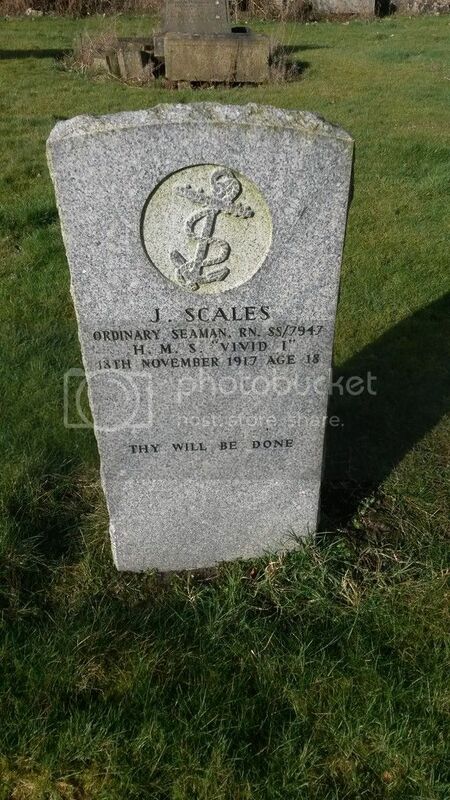 Regiment/Service: Royal Navy H.M.S. "Vivid II." 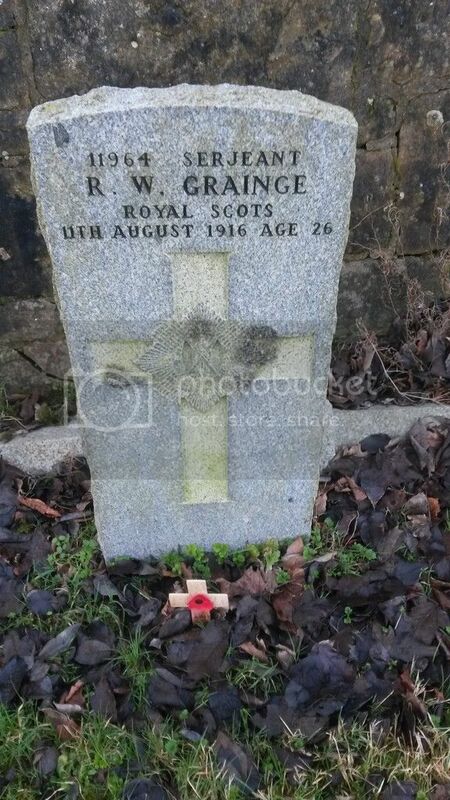 Grave Reference: New ground. 155. 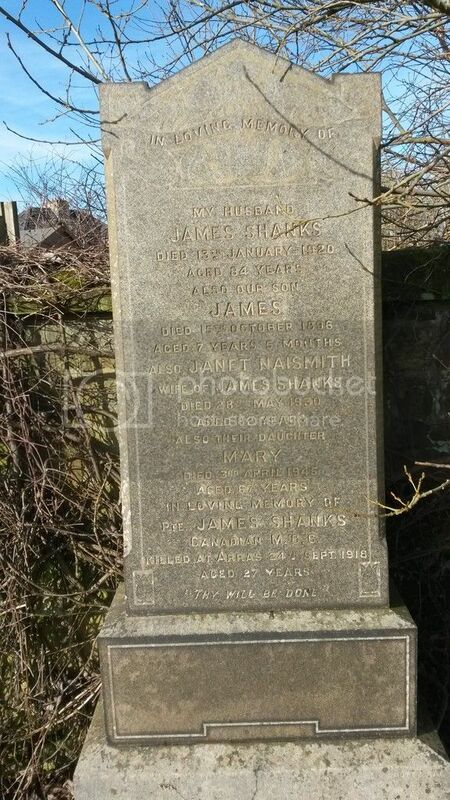 Additional Information: Son of Mr. and Mrs. J. Scales, of Eastbourne Terrace, Clydesdale Rd., Mossend, Lanarkshire. 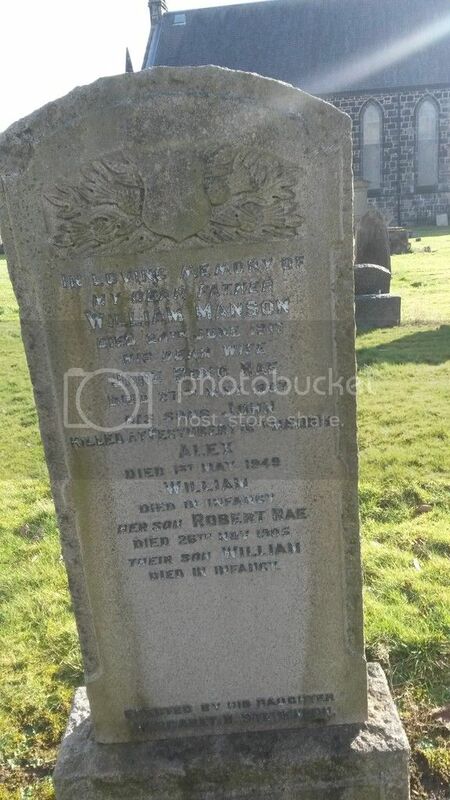 Additional Information: Brother of Mrs. Margaret B. Stevenson, of Margson Villa, Drumpark, Glasgow Rd., Coatbridge, Lanarkshire. Regiment/Service: Canadian Machine Gun Corps 3rd Bn. Grave Reference: VI. H. 65. 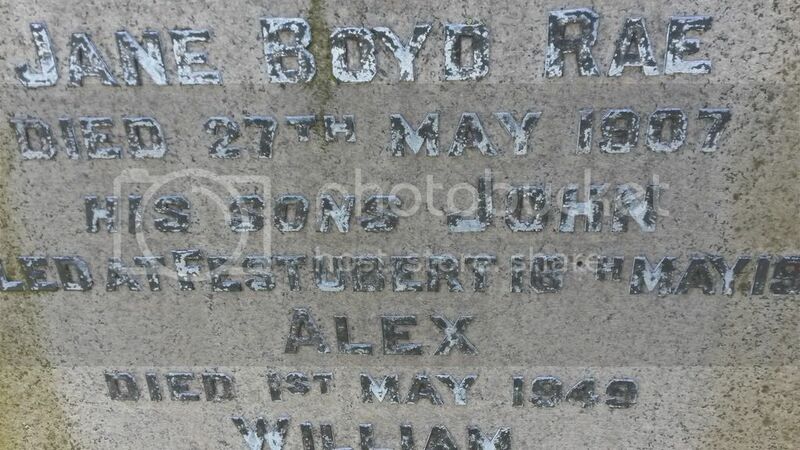 Additional Information: Son of Mr. and Mrs. John Bond. of 193, Silverburn, Newarthill, Motherwell.